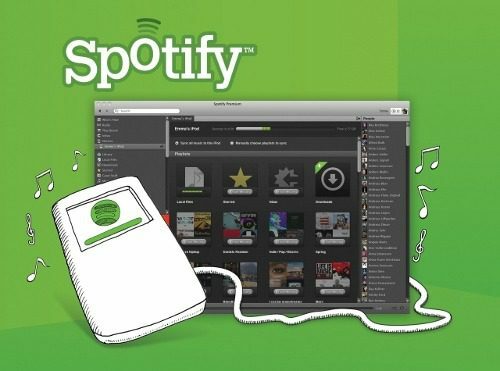 Spotify is free to sign up and is available for Windows, Mac and Linux. The free Spotify subscription limits listening time to 10 hours per month and is ad-supported. Subscribers can upgrade to Unlimited service for $4.99 per month which removes all ads and allows you unlimited playtime. For more functionality, including using the service on other devices (mobile devices, media devices, etc.) and offline playlists, users can subscribe to the Premium service for $9.99 per month. You can choose from a wide selection of songs from different artists in different genres,as well as create playlists, and all that good stuff. And by wide selection, I’m talking millions of songs from all kinds in various languages. (I’ve found songs in Japanese, Tagalog, Vietnamese, French and Italian, just to name a few!) You can even import your existing music collections to create playlists with Spotify tracks and the tracks you already own. I’m a huge fan of Spotify and gladly pay the $9.99 per month for the Premium subscription. Though it is a bit pricey, I’ve found that Spotify is a great service for both listening to music and finding new music. It is particularly useful for kids music since I really don’t want to spend the money to buy new music for her all the time, knowing that there’s certain songs that she’ll outgrow quickly. Substitute the Command (Cmd) key for Control key when using a Mac. Make searching through the millions of tracks that are available on Spotify easier by using modifiers. You can search by artist by typing artist:Artist Name in the search field. Use quotes to find the exact name. You can even append parts of song titles to find particular songs. For example, the search artist:”Eric Clapton”:heaven returns all songs by Eric Clapton that have the word “heaven” in the title. Spotify shares what you’re listening to with other people on Spotify, as well as your Facebook friends list. If you’re worried about your privacy – or, like me, stick firm to the belief that your love of 80s bubblegum teen pop should remain between you and Spotify only – you do have a few options to help protect your privacy hide your shame. Turn off sharing by going to to Edit – Preferences and uncheck the “Share my activity on Spotify Social” and “Show what I listen to on Facebook” check boxes. 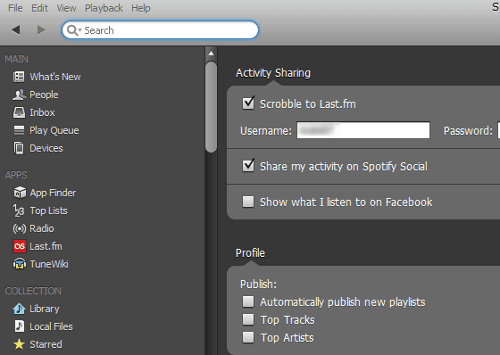 To take it a step further, you can also uncheck the options to publish new playlists, top artists and top tracks. Listen privately by choosing “Private Session” by clicking on your name in the upper right hand corner of the Spotify desktop application and choosing “Private Session”. The slight disadvantage to doing this is that any song that you listen to during a Private Session will not contribute to Spotify learning your listening habits to recommend music. Want to backup your Spotify playlists quickly and easily? Go to your playlist and hit Ctrl-A (Cmd-A on Macs), open Word (or other word processing application like OpenOffice/LibreOffice Writer) and click Ctrl-C (Cmd-C on Macs) to copy. This will save. Got a favorite Spotify playlist you just love and want easy access to? In Spotify, click and hold the title for your playlist and drag it out onto your desktop. Now you’ve got a shortcut your desktop to your favorite Spotify playlist. Do you use Spotify? What are some of your favorite tips & tricks? Michelle Mista is an IT professional, freelance writer and blogger. 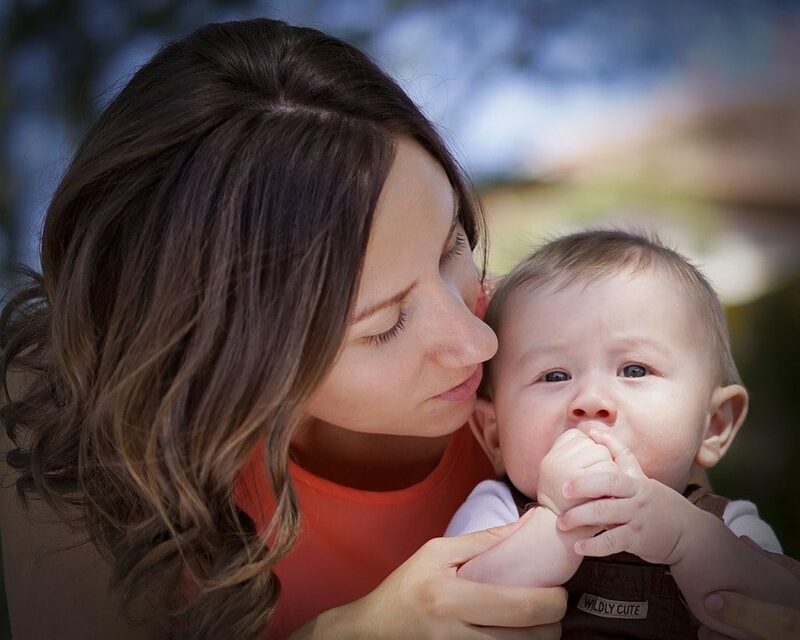 A lifelong geek, she blogs the latest in tech news, tips & tutorials at Tech Geek Girl and muses about motherhood at Mommy Misadventures. She is on the constant quest to balance life, work and geekery.